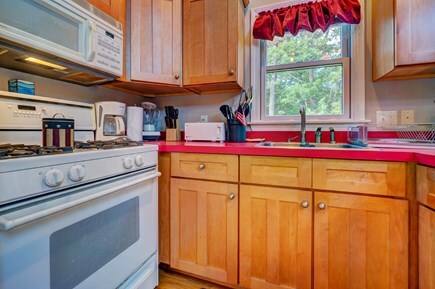 For your next family adventure to Cape Cod, look no further than this charming three-bedroom house in Eastham! 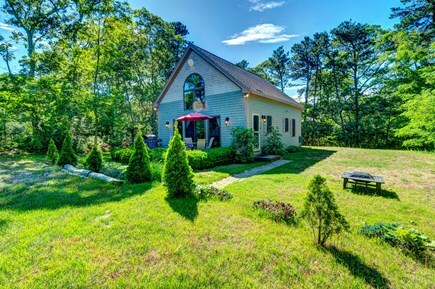 With entertainment, a spacious yard, and everything you need to feel cozy, up to eight guests will revel in leisure at this updated New England home. 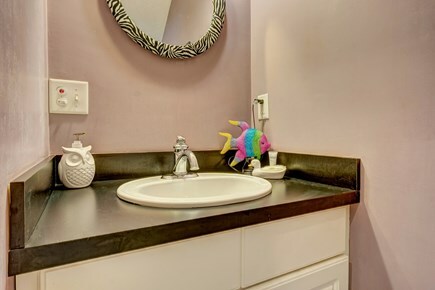 Sitting in a quiet neighborhood just one-and-a-half miles from the nearest beach, you'll enjoy peace at home and a quick drive to all the best activities in the area. Just a few blocks away, you'll find plenty of dining options that will appeal to all tastes in your family. 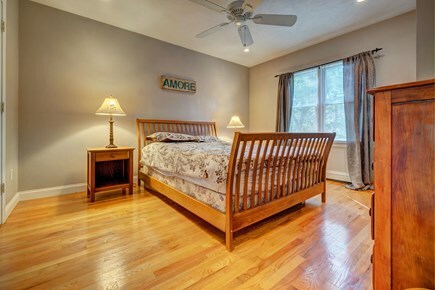 The house itself features bright wood floors and vibrant furniture that is sure to lift your spirit even on rainy days. 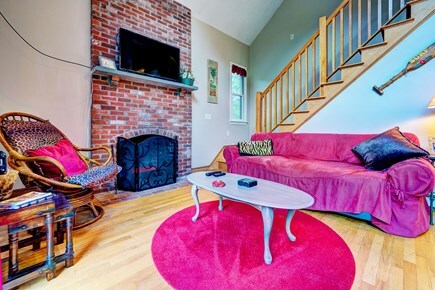 Kick back on the couches or chair in the living area of the main open room to enjoy a conversation with friends and loved ones, and stoke a fire in the wood-burning fireplace when the weather calls for it. 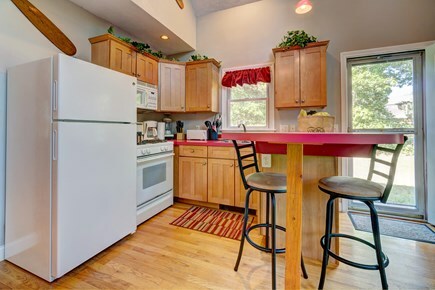 You'll be able to cook whatever you desire in the fully equipped kitchen, which has all the essentials you're used to, and three seats at the breakfast bar let others keep you company while they snack. 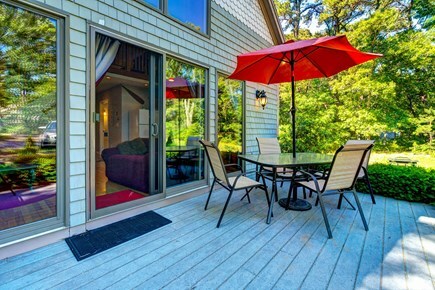 Take your meals outside at the patio table and enjoy the solitude of your scenic backyard. There's also a gas grill for anyone keen on barbecuing. After a long day, you might relax in the living room and watch a movie from the DVD collection on the flatscreen cable TV or gather everyone for a game of cards. Free WiFi is available to keep in touch with friends and boast about how much fun you're having. On clear nights, you might have a fire outdoors and roast marshmallows under the shimmering stars - these are the moments you'll cherish forever. 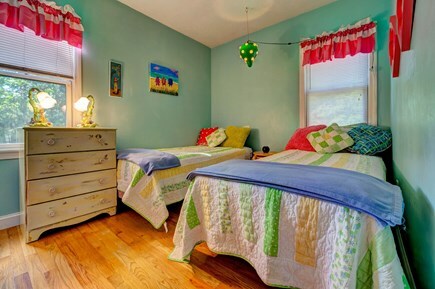 Downstairs, one room features a queen bed and another is equipped with two twins, while a shared full bathroom is across the hall. 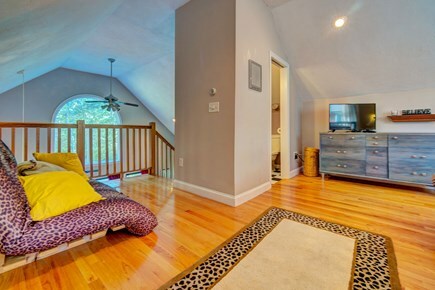 Upstairs is a loft bedroom with a queen bed, a futon, a private half bathroom, and another flatscreen cable TV. 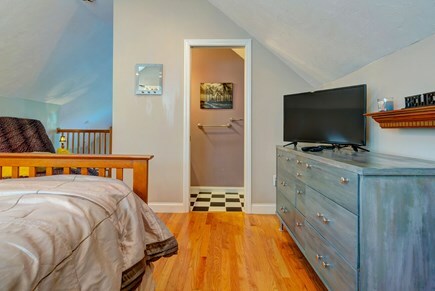 Between two private bedrooms, a third loft bedroom, and one-and-a-half bathrooms, there is room for up to eight guests (six adults) to sleep comfortably here. 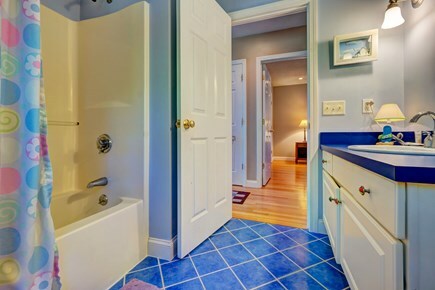 This home is perfect for groups of friends and families - the first-floor setup is perfect for those with limited mobility since there are no stairs. For a fun day on Cape Cod Bay, head to First Encounter Beach with your toys and beach gear, or bring a picnic to Sunken Meadow and immerse yourself in natural beauty. Stop by the aquarium down the road for the kids, then do some antiquing on the way back. 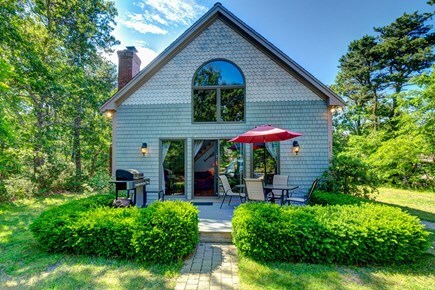 You'll make memories to last a lifetime on your next vacation to Cape Cod - book your home today! We had an amazing time in Eastham. The property is well located. Close to route 6. Close to the bike trail and a bike rental shop. Well located in case you want to visit other places in the Cape. The house was very clean. It has a nice yard with trees so it keeps it quiet and private. Paul Schweitzer was very responsive and helped us with a couple of problems we had during our stay.